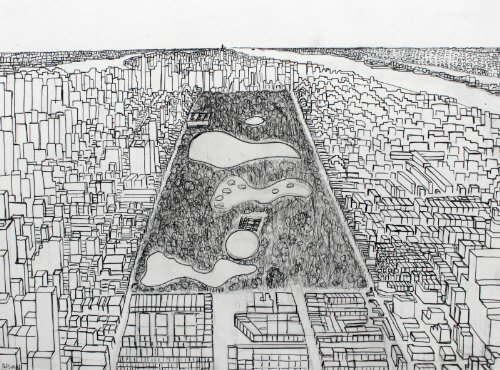 This pencil and ink drawing on paper by artist Orhan Guven depicts Central Park seen from above. Please note, dimensions refer to overall paper size. What if Frasier Joined the Fantastic Four?